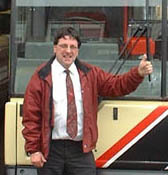 Connections with Brighton and Hove : At Brighton & Hove’s Awards Evening in 2002 staff had the chance to bid on the opportunity to have their name on a bus. The event raised over £1,700 for charity. 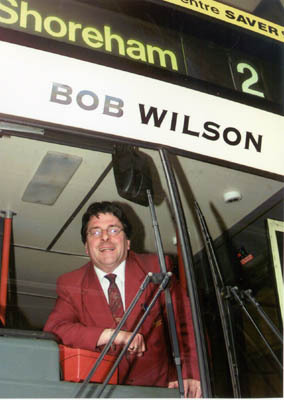 Bob Wilson was a driver at our Conway Street depot. Displayed from April until June 2002. 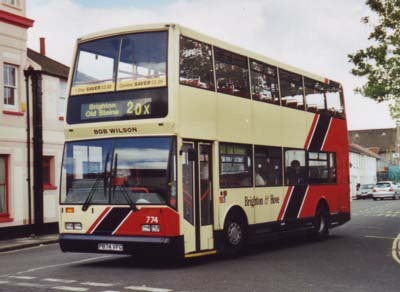 774 Scania Cityzen carried name from April to June 2002.